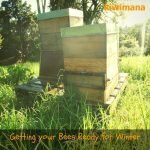 Articles and stories aimed at Beginning Beekeepers, if you are just started our check these out first. 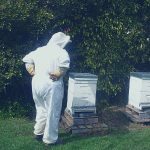 Have you ever wondered what you need to start Beekeeping? 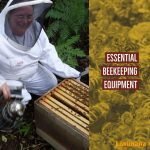 Here is the Essential Beekeeping Equipment to get started in Beekeeping. 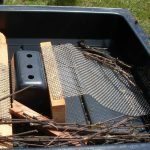 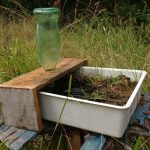 What are the essential pieces of hive ware that make up a modern Langstroth beehive? 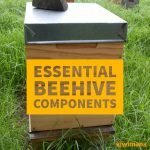 Read Margaret’s great article on the five Essential Beehive Components you need to get started. 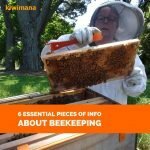 What are the basics to start Beekeeping. 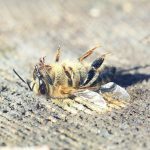 Margaret talks about the 6 Essential Pieces of Information About Beekeeping that will help you be successful. 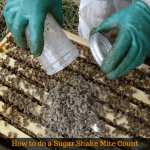 In this video we show you How to do a Sugar Shake Mite Count, using a sugar shake jar and icing or powdered sugar. 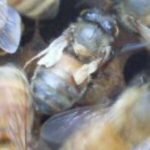 Monitoring your Varroa mites levels is very important to ensure you know if things are getting out of hand in your colonies and if you need to take some form of action or treatment. 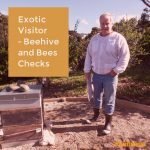 An update from Lorin and John in Greece about their Beginner Beekeeping adventures. 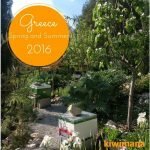 We compare what has been happening during Spring and Summer in Greece.